We need a committed active playing membership of about 50 to be successful. The Club is actively welcoming players from local colleges, from the local high school programs as well as walk-ons. Most of the new recruits are younger, seeking jobs or under-employed. Paying the $300 annual dues and travel expenses to away games is a difficult prospect for many of the kids. Over the last two years the Alumni Scholarship Program has helped about 8 players per year with the expenses of playing top level rugby. Under-employed and unemployed players were invited to sign contracts which promise they will pay half their annual dues up front, work as needed at club functions and attend practices regularly. At the end of the season, if the conditions are met the club submits a bill to the alumni fund for amount of the second dues installment and a percentage of the travel expenses (van rental, room, gas, etc). Approximately $6000 alumni dollars have be spent supporting this Program over the last three years. 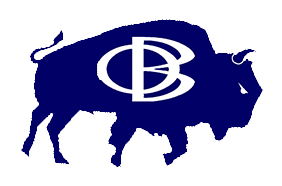 The Buffalo Rugby Club is a Tax Exempt 501c3 Organization. Your contributions are tax deductible.